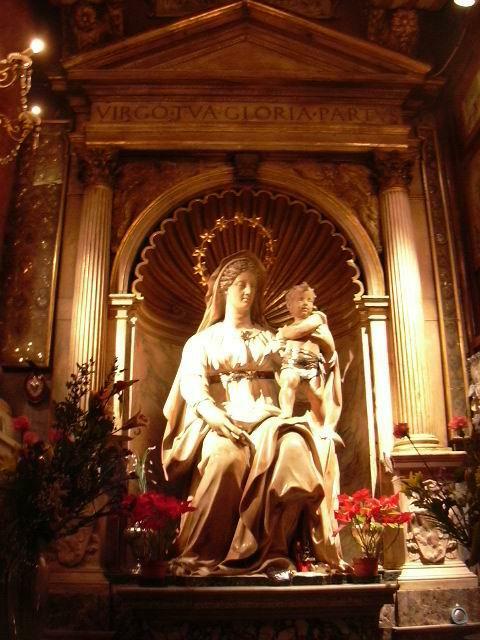 CatholicLove.com: Blog: Madonna of Childbirth pray for us. 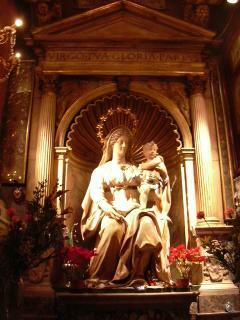 This is an image of the statue of the Madonna of Childbirth. The original is here. Mary, you carried Jesus for nine months. You know first hand the worries and concerns of an expectant mother. Lucille is now 15 weeks into our pregnancy, Mary please intercede for her and for Pitou. You experienced giving birth to our Lord in a strange place with no outside help but St. Joseph. Pray for us to have a safe pregnancy and birth. St. Joseph, please pray for me to be a good and holy husband and father. Help me to learn how you managed to provide for your little family. Teach me to have the same look of love that you had for Mary and Jesus. Teach me to be as obedient to God the Father as you were. Thank you Mary and Joseph for your awesome witness to the graces to be found in family. Thank you both for being such great parents to Jesus.